Picture Tanzania on a map of the east coast of Africa; south of Kenya and Uganda, north of Mozambique and Malawi. Now zoom in on the capital Dar es Salaam, about a third of the way down the coastline. 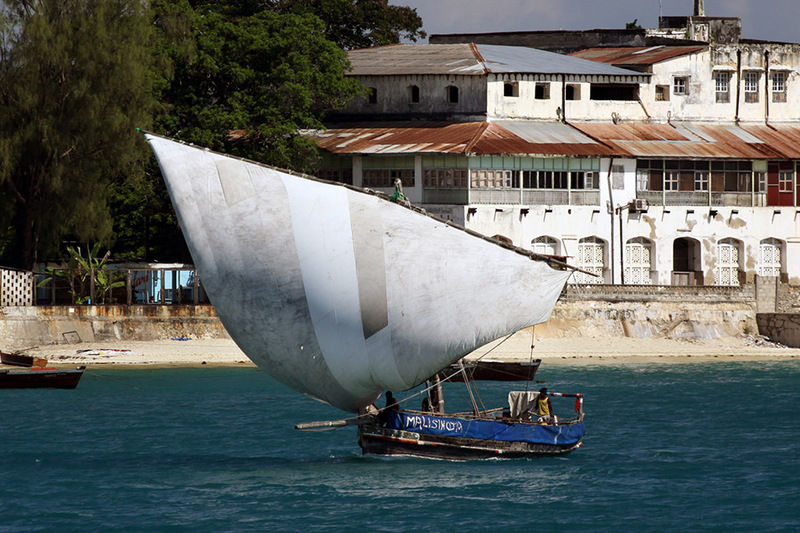 Just north of the city is the beautiful coral-fringed, Swahili-speaking Zanzibar Archipelago: the stuff of legend. And spices. All my favourites are grown here and I can’t wait to sample their cloves, black pepper, cinnamon, nutmeg and vanilla. Today Leroy and I headed straight to Stone Town on the largest island of Unguja, still a little shocked by the news of Fidel Castro’s death and thinking of our Cuban friends. Despite everything, we were raring to explore the island. From what we’ve seen so far, there is an amazing sense of community that the African, Indian and Arab inhabitants have built. Stone Town was once the centre of trade in East Africa and also the base where opponents of the slave trade, like David Livingstone, conducted their campaign. These days the pace is relaxed, the people friendly and welcoming and the architectural details gorgeous. The warm, flat waters of the Indian Ocean are lapping against the timbers of the pier, and the sun is already beating down as kids do back flips into the sea and fishermen bring in their catch on wooden dhows. The forecast minimum for today is 27 degrees, 30 the maximum. We probably need to go in search of coffee before the real exploring can begin. Do you know the way to San José?